Need a quartz countertops contractor for your Kitchen remodeling in San Diego, CA? 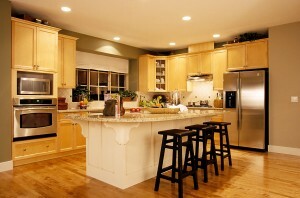 Custom Cabinets in San Diego, CA for the bathroom and kitchen remodeling are our specialty. 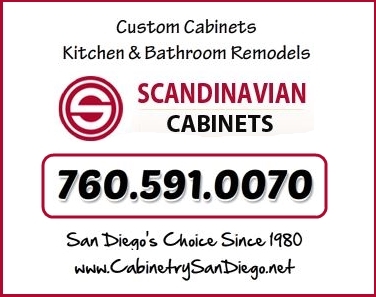 There’s good reason why Scandinavian Cabinets has so many happy clients throughout San Diego, CA. We proudly service every city and zip code in San Diego County, CA. WATCH: This Will Be the Biggest Countertop Trend of 2019ﾠﾠsouthernliving.comThis eye-catching look is made more accessible thanks to the growing variety of quartz options to homeowners. Granite – Considered to be the top choice; a definition of kitchen elegance that even a modest kitchen can appear luxurious with this material. Other reasons include being heat resistant, comes in a wide array of colors (about 3000 different colors), strong and durable, and with less maintenance requirement. Marble – Another natural stone chosen by many for kitchen countertops San Marcos, CA. A countertop made out of marble can be entirely unique because no two sheets of marble are exactly the same. Though perceived to be expensive, this does not stop many customers from using this material. Some just use it on an island or a section of the countertop intended as a baking center. Exceptional aesthetics, being waterproof and heatproof are other reasons why marble is the material of choice of many for countertops. Quartz – This material is a product of engineering (i.e. it is an engineered stone) that contains about 90% quartz particles and the rest are other minerals, shaped into slabs and bound with resins. This material can be custom-fabricated in any size and shape and this flexibility attracts many clients. Furthermore, it is easy to maintain and it resists stains and heat. Ceramic tile – Preferred by many for its durability and affordability. In addition, it is easy to clean because it is non-porous. It is worth-noting as well that this material comes in a wide array of colors and style. It is heat resistant, and is easy for DIYers to construct. Soapstone – Yet another natural store option that is usually dark gray in color with smooth and silky feel. In addition, this material is quite hard and resistant to stain. Considered to be a great alternative to granite, it is often installed in homes with classical theme. However, today, it is gaining more and more popularity in modern home applications. Have more questions about kitchen countertops San Marcos, CA? Contact Scandinavian Marble today at (760) 591-0070. If you’ve read some news from experts lately about home improvement trends, you probably have learned from what they have been saying – that quartz countertops are still a hit in 2019. So, if you are planning to do some home improvement work soon, you might want to consider this type of material to come up with a masterpiece design. And, a highly qualified quartz countertops installer San Diego can help you realize that. A high-end alternative to granite. While granite has been one of the most popular countertop material because of durability and aesthetics, it has a downside – it is porous. In other words, liquids like water and oils can easily penetrate the depth of this material. As an alternative, homeowners pick quartz, it is non-porous and does not need regular re-sealing. Offers a higher level of flexibility. Quartz now comes in a variety of colors, patterns, and finishing techniques, which help achieve a look of natural stone. This flexibility thus means that you can have a more customized design or you can put a more ‘personal touch’ to your countertop. Quartz is easy to maintain. Because this material is non-porous, it has a low maintenance requirement. It is easy to clean and it does not require some sophisticated cleaning solution; it just needs some warm, soapy water or mild cleaning solution to make it sparkling clean again after use. Now, the question: Why hire a professional quartz countertops installer San Diego? There are things that are best assigned to a professional and quartz countertop installation is one of them. Beware of a fly-by-night contractor who promises the best but who cannot even provide a good portfolio to back their claim. Remember, this project involves some serious amount of money and thus, it is imperative that you are sure with the service provider you are dealing with. Looking for a professional quartz countertops installer San Diego? Contact us here at Scandinavian Marble Designs. Call us today at 760-591-0070.